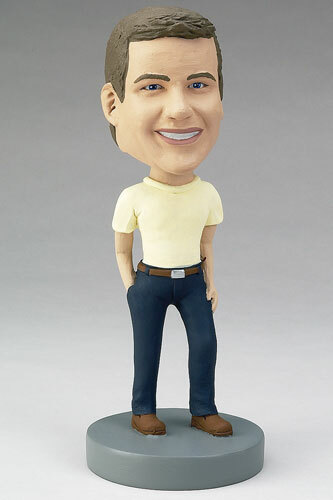 This custom bobblehead's casual outfit makes him the perfect anytime gift. The colors of his outfit can be personalized, and he fits in anywhere - work, school, the car dashboard. He can be a bobblehead model of your husband, brother, or boss to keep on your desk or give as a funny gift.